Onyx A-24 In-Sight automatically inflates upon immersion in water or when wearer pulls the "Jerk to Inflate" handle. In-Sight feature shows GREEN if the product is armed and ready to use, and shows RED if not ready to use. 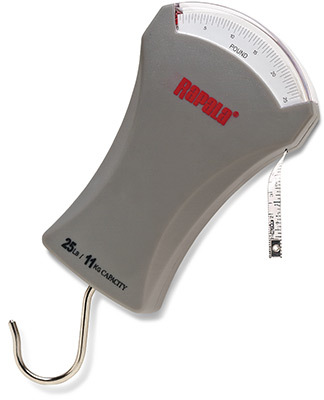 The Secure Pull clips to life jacket; allows for quick release when pulled for inflation. Equipped with back-up oral inflation. Rearming kits also available. 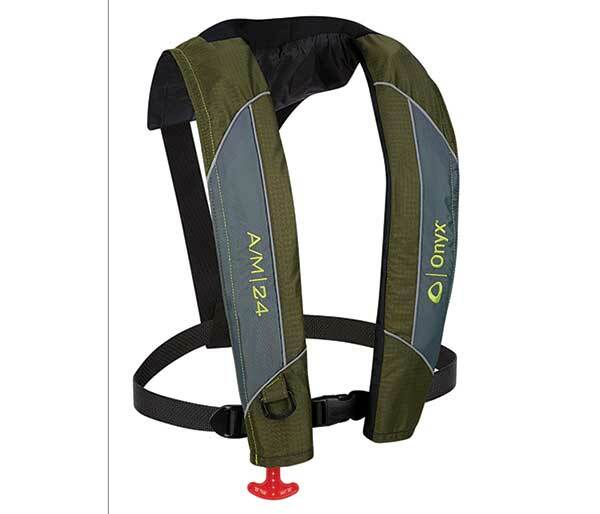 Onyx A/M-24 automatically inflates upon immersion in water or when the wearer pulls the "Jerk to Inflate" handle. Equipped with back-up oral inflation, it's convertible from automatic/manual to manual only inflation. Comfortable, lightweight, low profile design keeps you cool in warm weather. Rearming kits also available. 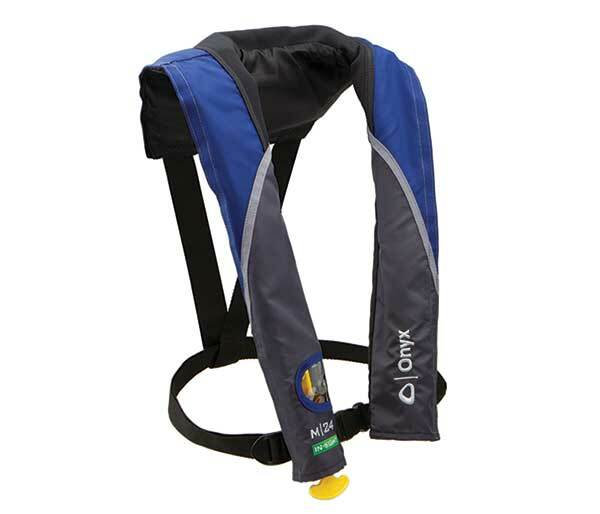 Onyx M-24 In-Sight Manual Inflatable Life Jacket manually inflates when the wearer pulls the "Jerk to Inflate" handle. 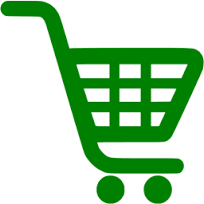 The In-Sight feature shows GREEN if the product is armed and ready to use, and RED if not ready to use. 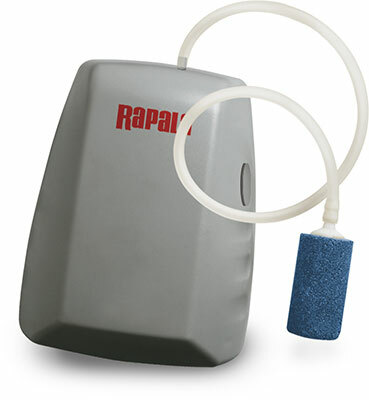 It's equipped with back-up oral inflation in a comfortable, lightweight, low profile design. Rearming kits also available. 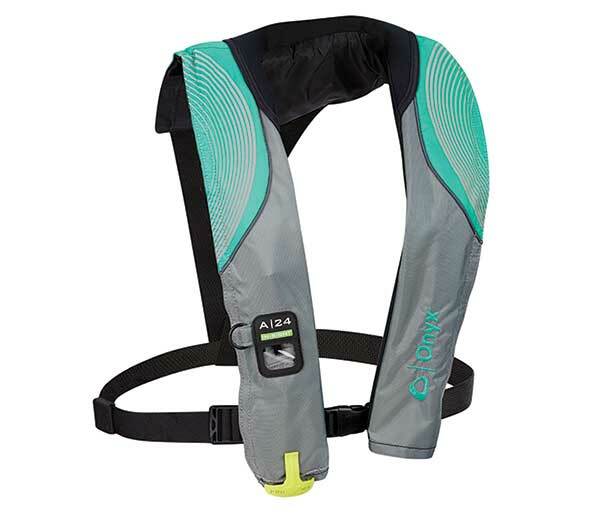 The Onyx M-16's unique design keeps stand-up paddleboarders (SUP), anglers, boaters, and other paddlers safe without compromising movement, with an extremely low profile and D-ring attachment for small accessories. Rearming kits also available. 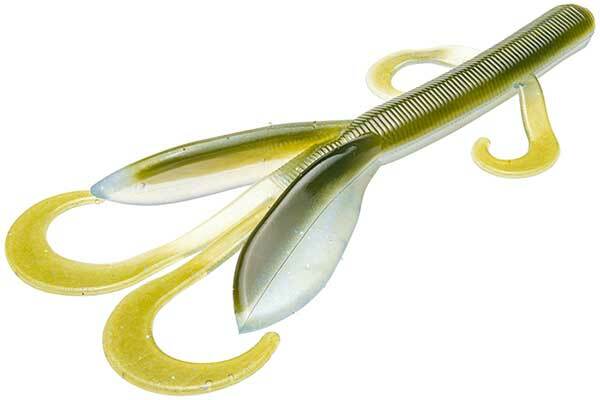 The Rage Twin Tail Menace Grub combines two uniquely shaped tail appendages with the patented Rage Tail Flange that moves water like no other. 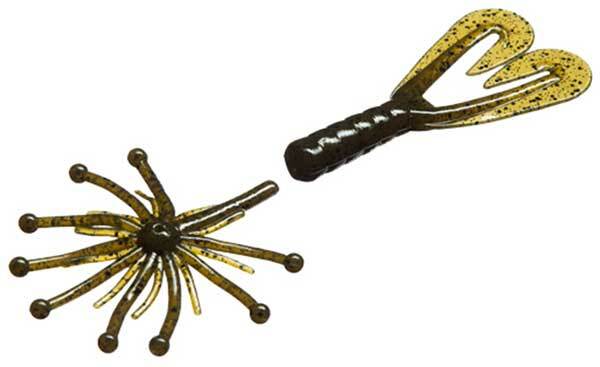 Great for flipping and pitching or as a jig trailer. New color Moon Juice adds to our full selection! The Ocho has an 8 sided design which gives the bait amazing action and light reflection. Super soft plastic and heavy salt content formulation add to the awesome action as well! Color Green Pumpkin Candy has been added in the 5" along with NEW colors Moon Juice in the 5" and Sweet Tator Pie in the 4" and 5" sizes. We've got all colors and sizes! The Strike King Magnum Game Hawg offers a larger size to the already popular Game Hawg from its KVD Perfect Plastics line with exclusive coffee scent. New color Moon Juice is part of our full selection and it's also been added in the regular Game Hawg as well! 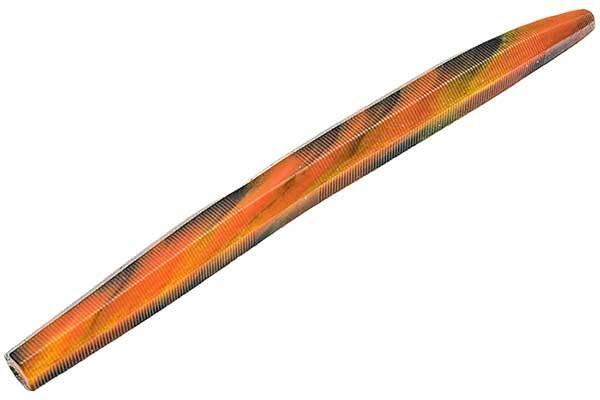 The Drop Shot Half Shell is 3.5" long and is offered in multiple exquisite colors, including some beautiful laminates that incorporate Strike King's Open Pour Technology (OPT). New color Moon Juice adds to our full selection of colors! 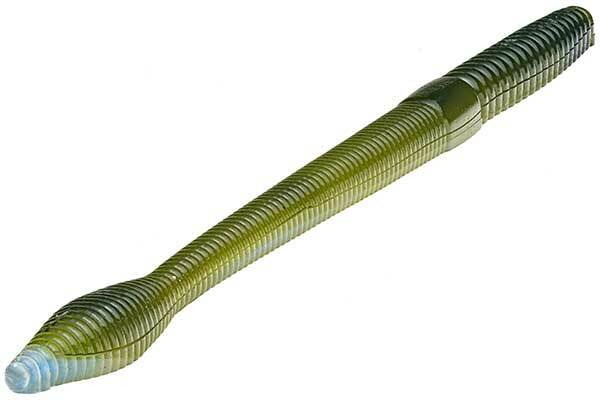 The KVD Bull Worm with its Beveled Bubble Tail is a GIANT worm designed to go BIG for those giant fish! New color Moon Juice is now available in both the 10" as well as the 8" OPT (Open Pour Technology) sizes, to bring you all the colors! 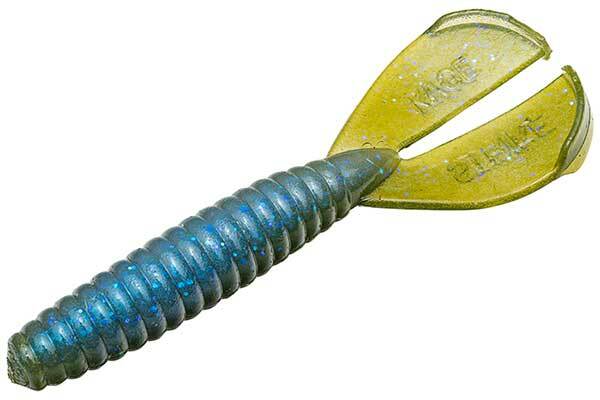 Strike King KVD Perfect Plastics Bull Worm 10"
The Baby Z-TOO is a smaller version of the popular 3X ElaZtech Z-TOO. It fishes more like a traditional soft plastic jerkbait and the rate of sink can be varied by the size and weight of the hook. Thanks to its ElaZtech properties, you can nose hook it and it won't tear! 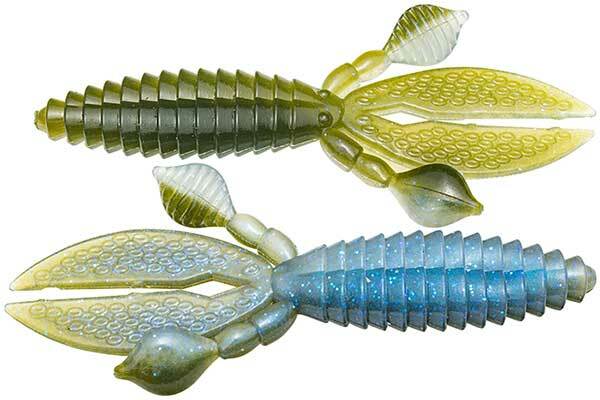 Also check out new color The Deal in both the new 3.5" Baby as well as the regular 5" sizes, adding to our full selection! Strike King’s Perfect Plastics are the softest, saltiest plastic lures ever produced and feature Strike King’s exclusive Coffee Scent. Coffee adds to the appeal as it masks human scents and oils and causes added bites and longer hold times which increase your hook-up chances. The KVD Rodent will search them out in heavy cover. New color Moon Juice has been added to offer their full selection of colors and sizes! 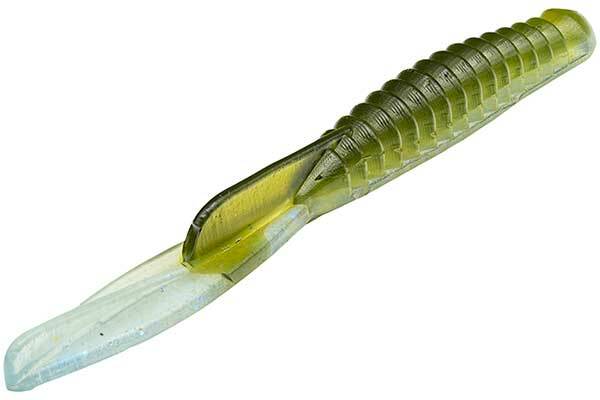 Draw the attention of finicky or pressured bass with the Cabin Creek Salty Critter Junior Tubes. Hand dipped to perfection, the tentacles move in the slightest current for an incredibly lifelike appearance. Now stocking their full selection of colors! 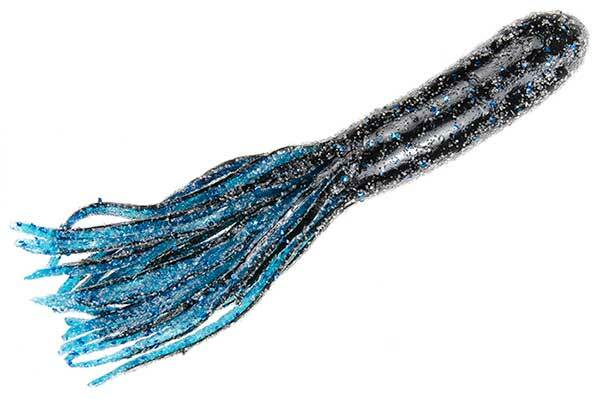 The EXACT same skirt and twin tail body found on the "Salty Spider Jig", made from the same soft, lifelike and coarse-grained "Salt Impregnated" plastic! 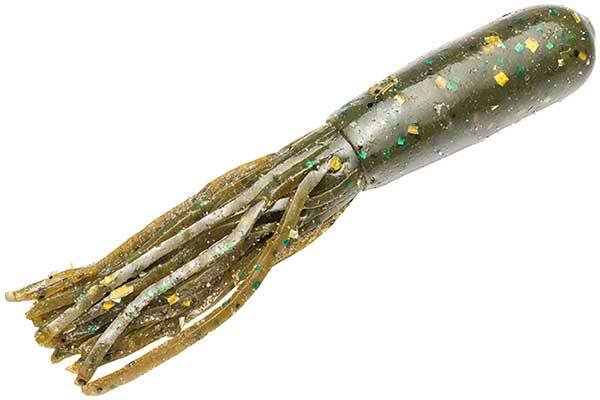 A GREAT lure for any fish that will eat a crawfish, crab, squid, or shrimp. Colors Black & Blue, Green Green Pumpkin (Momma Doris), Green Pumpkin Candy, Green Pumpkin/Copper, Pumpkin Seed/Gold Glitter, Smoke Purple/Red Glitter, and Tennessee Orange were added to offer their full color and size selection! The G-Force ELIMINATOR Prop Nut is built to make your trolling motor perform better, longer, and quieter. 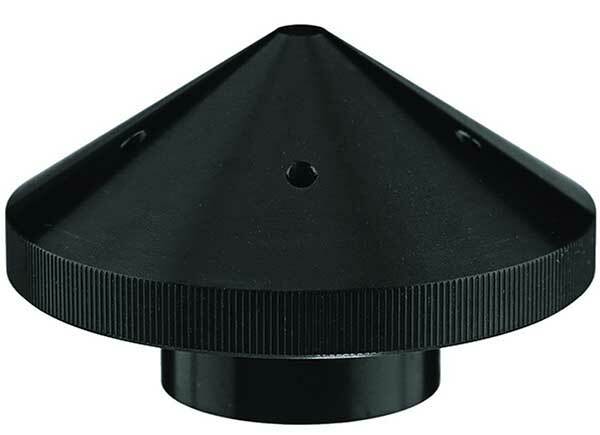 Designed to lessen prop noise and vibration, The ELIMINATOR Prop Nut stabilizes the prop by providing a larger contact point. In addition, it acts as a heat sink and has built-in cooling ports that reduce the operating temperature for longer battery and trolling motor life. Makes launching a boat by yourself as easy as 1-2-3! 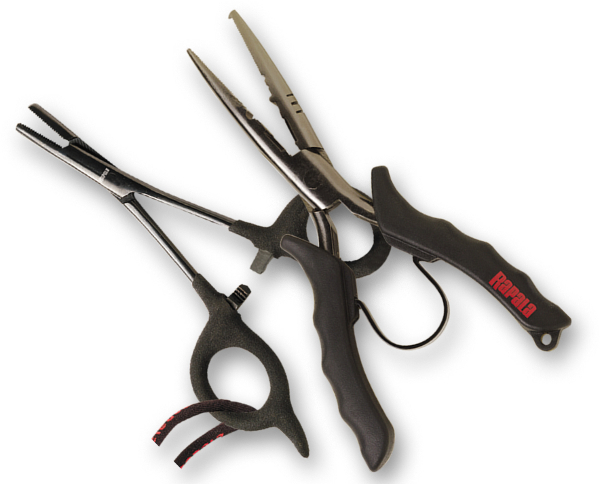 Endorsed and used by professional angler Timmy Horton and used by majority of BASS and FLW fishing professionals. 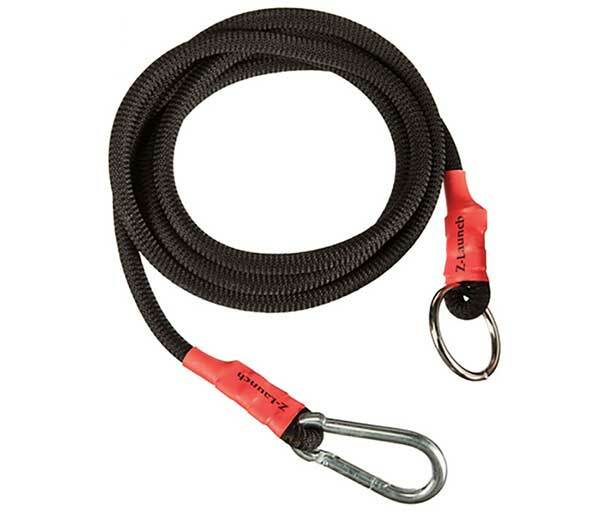 The patented Z-LAUNCH Watercraft Launch Cord makes solo watercraft launching easier than you've ever experienced. The no-hassle launch cord, made of premium elastics, uses automatically adjusting tension. 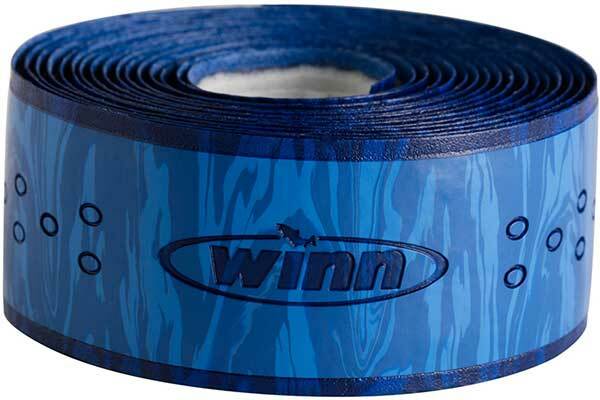 Made with highly advanced Winn Dry polymer material, Winn Grips Superior Rod Overwrap 96" size is designed for larger diameter and longer handles (Saltwater, Muskie, Etc). It can be used on multiple rods with handles that are standard diameters and lengths, and can also be applied as the sole grip for west coast Jig rods or over the existing material. Soft trailer "chases" the main body & blade, imitating a hungry, distracted bait fish, creating intense flash & attraction. Patented 2 part bell and gear made of machined brass emits low-frequency sound vibrations while virtually eliminating line twist. We've added their full selection of colors and sizes! Beefed up version of the freshwater model, the Saltwater Skitter Pop® features a cupped plastic lip that creates a unique loud popping splash. Constructed of balsa wood body and rigged with Perma Steel hooks and rugged saltwater rigging. Incredibly effective twitched or with walk-the-dog retrieve when fish are surface feeding. We stock the full selection of colors! With its unique loud popping, cupped plastic lip and its balsa wood body the Skitter Pop® creates a commotion with one of the loudest spitting actions. Fished with walk-the-dog or twitching retrieves, the results are the same...crushing strikes from aggressive surface feeders. We stock the full selection of colors and sizes! 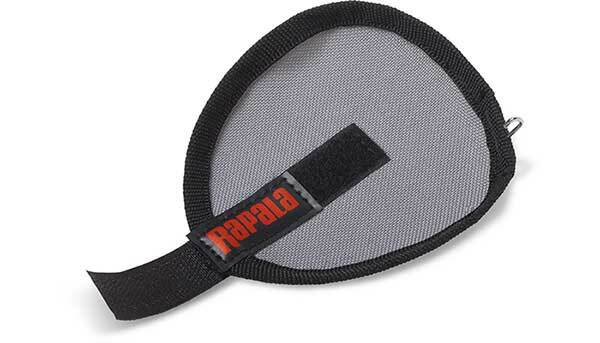 Brilliant...strategically placed, sewn-in hook attaches to rod bait keeper to keep lure and wrap in place. Hook resistant durable nylon completely covers the lure and hooks eliminating tangles with other lures, rods and lines.